Welcome to Enhance Skin Clinics. We are a dedicated professional cosmetic skin clinic specialising in anti ageing treatments and procedures that help complement and enhance the natural beauty of our patients by helping to restore the youthful definition of the face. We pride ourselves on being able to offer a selection of the most effective, safe and established non surgical and minor surgical procedures including wrinkle-relaxing injections and fillers. We aim to deliver natural-looking results and offer unhurried appointments to ensure our patients needs are fully met. Our non-surgical treatments include dermal fillers, wrinkle relaxing injections (Botox), advanced no-scalpel face lifts, thread-lifts, treating excessive sweating and thread vein removal. Surgical treatments include removal of moles, skin lesions, skin tags and ‘lumps and bumps’. 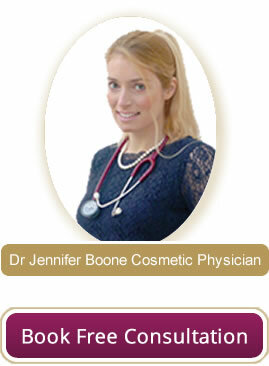 Dr Jennifer Boone, a fully qualified Medical Doctor is the Founder and Medical Director of Enhance Skin Clinics. Jennifer, now based in Boulder, Colorado has performed thousands of cosmetic procedures and has extensive experience in the delivery of advanced facial aesthetic treatments. Her sister, Dr Elizabeth Boone (Libby), a registered multi-award winning specialist and director of the clinic, with an international reputation is known for her meticulous attention to detail and keen aesthetic focus. She consistently helps patients to achieve outstanding results. Dr Doron Boone provides all our minor surgical procedures such as removal of moles, skin tags, lumps and bumps. He is well-known throughout the region for the excellent service he provides and the outstanding patient feedback he receives. He is CQC registered. You no longer have to undergo drastic plastic surgery to reduce the signs of ageing. You can choose non-surgical cosmetic treatments to lift, tighten and restore the natural contours of your face helping you to look fresher and less tired. Subtle changes can make a big difference to how you feel about yourself and because they are non-permanent treatments they can be adjusted to suit you as you age. So you always look your best. Before commencing any treatment, you will have a comprehensive consultation, which will allow us to understand your concerns. By understanding your goals and desires we will work in partnership with you to develop a realistic treatment plan tailored specifically to you to achieve natural looking results. We aim to improve your confidence and help you look and feel your very best. We can help you look fresher and more rested – often in just an hour and with no down time – giving your confidence a real boost. Whether you are concerned about wrinkles, skin texture, thinning lips, dark circles under your eyes or sagging jowls we will explain which treatments are most suited to help you to achieve the results you desire. How you feel about your body is just as important to your confidence as looking fresh, vibrant and healthy. It’s all about you feeling comfortable in your skin and having the self-esteem to wear what you want, when you want. Our sclerotherapy treatments will help you bare your legs with a new found confidence so you can enjoy the freedom of wearing skirts, shorts and bikinis again. Excessive sweating can become more than just an embarrassment if it interferes with your social or professional life or day to day activities. We offer a very effective long-lasting solution using Botox for this problem. We offer an expert minor surgery service for the removal of unsightly skin lesions such as moles, skin tags, cysts, fatty lumps and other skin lesions. Dr Jenny really does look at the needs of the individual and has the knowledge and skills to make your face look amazing! She is my own personal choice for non-surgical procedures as she is the best that I have ever experienced. We are very pleased to announce the arrival of our brand new Strawberry Lift machine. A fabulous new treatment to painlessly manage double chins. It lifts and tightens the underside of the chin and initial results are immediate. – Please visit our Strawberry Lift page by clicking on the button above. We are soon to announce the arrival of our newest treatment regime – the HighGrove Lift – please look out for our next post. We are really pleased so many of my patients have been delighted with the effects of their Profhilo treatments to improve their skin texture and reduce fine lines and wrinkles.